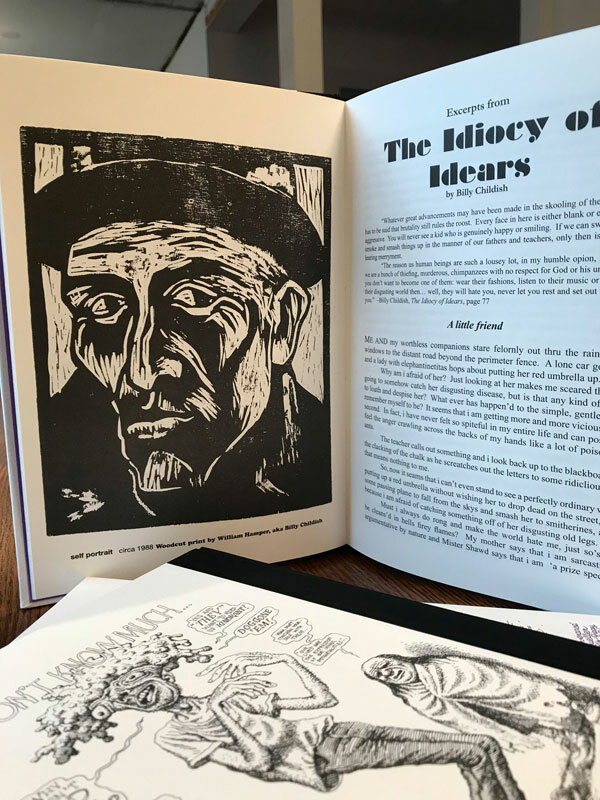 Mineshaft Magazine publishing R. Crumb, Billy Childish, Mary Fleener, Jay Lynch, Robert Armstrong, Bill Griffith, Christoph Mueller, Aline Kominsky Crumb, Art Spiegelman, David Collier, William Crook Jr., and More!!! "Pleasing Minds of Taste Since 1999"
April 13, 2019 UPDATE: Mineshaft #37 is coming SOON! Drew Friedman has done the Front Cover art for Mineshaft #37 coming in April, 2019... Back cover by R. Crumb! 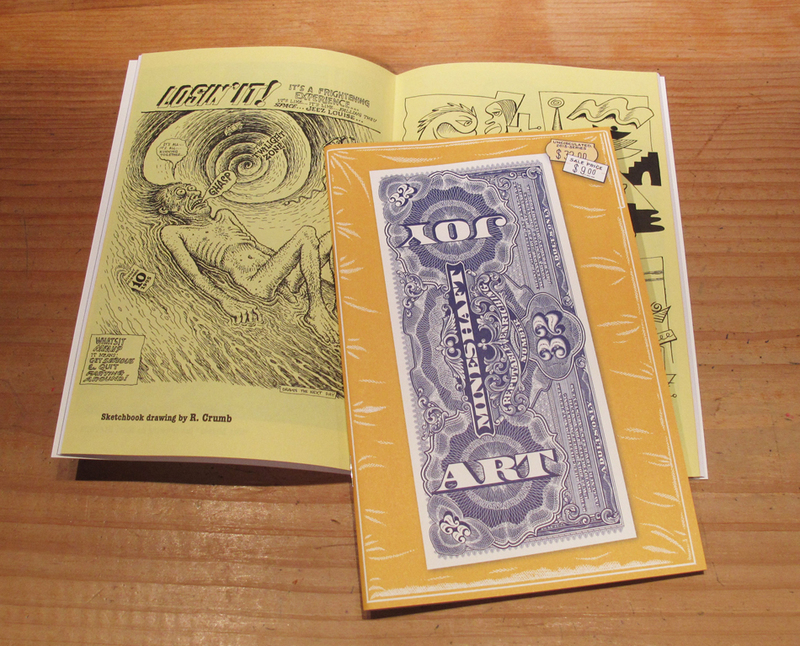 PLUS Billy Childish, Mary Fleener, Bill Griffith, Art Spiegelman, Christoph Mueller, David Collier, Noah Van Sciver, Nicolas C. Grey, Max Clotfelter, Robert Armstrong, Peter Poplaski, and MORE! DON'T MISS this amazing issue! 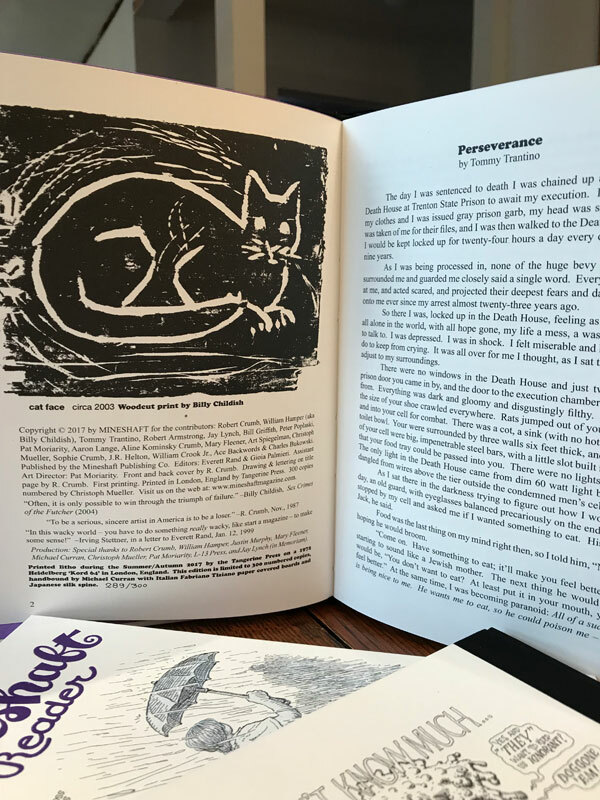 A very limited supply of "The Mineshaft Reader" is also still available... 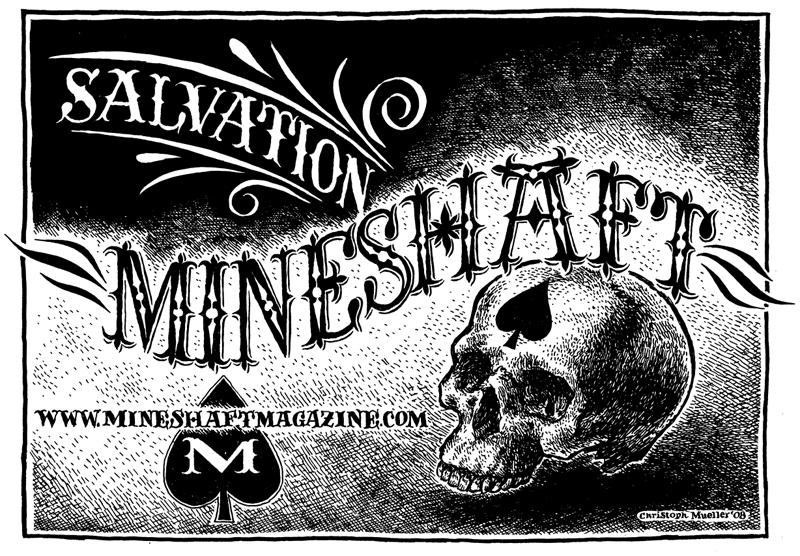 Many MINESHAFT back issues will be sold out soon... Click here for more info and to order TODAY!!! 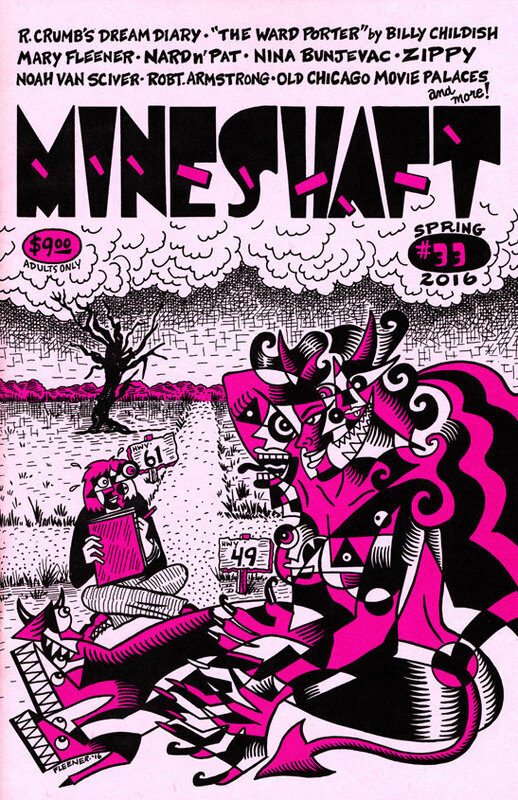 The AMAZING MINESHAFT #36 is HERE!!! ORDER TODAY!!! MINESHAFT #36 Back Cover by R. Crumb! 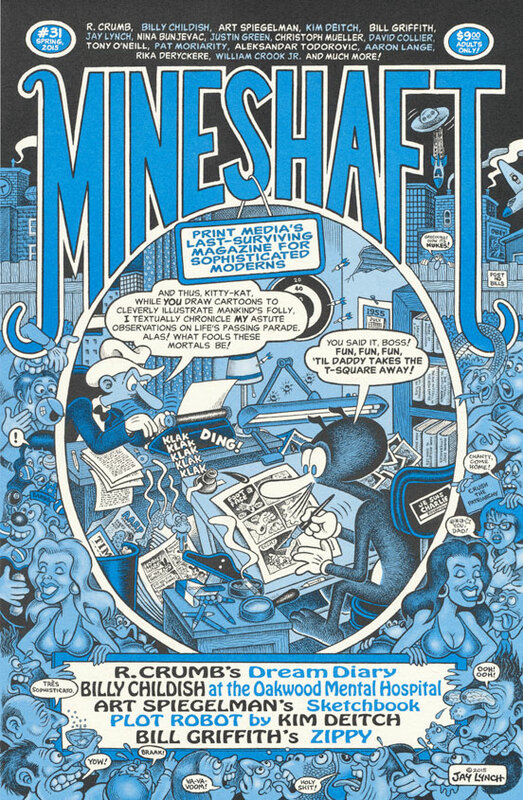 Front cover for Mineshaft #35 with artwork, lettering, and design by R. Crumb! Mineshaft #35 Back Cover art by Robert Armstrong! 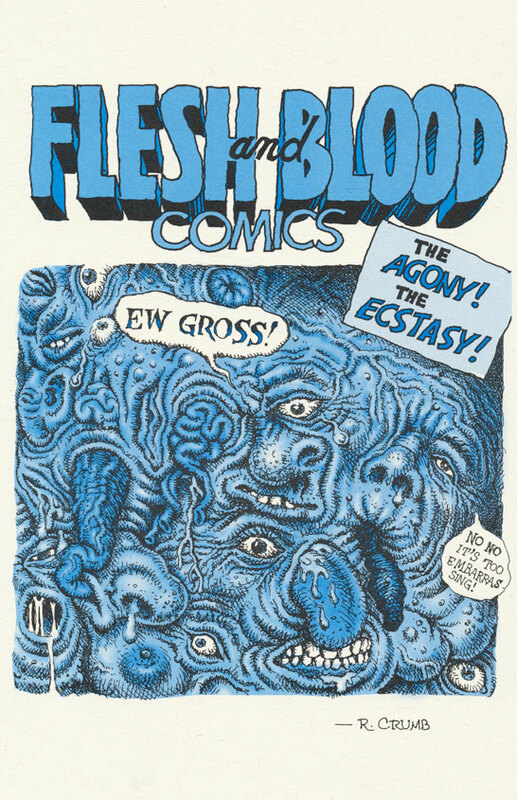 Front cover artwork, lettering, and design by R. Crumb! 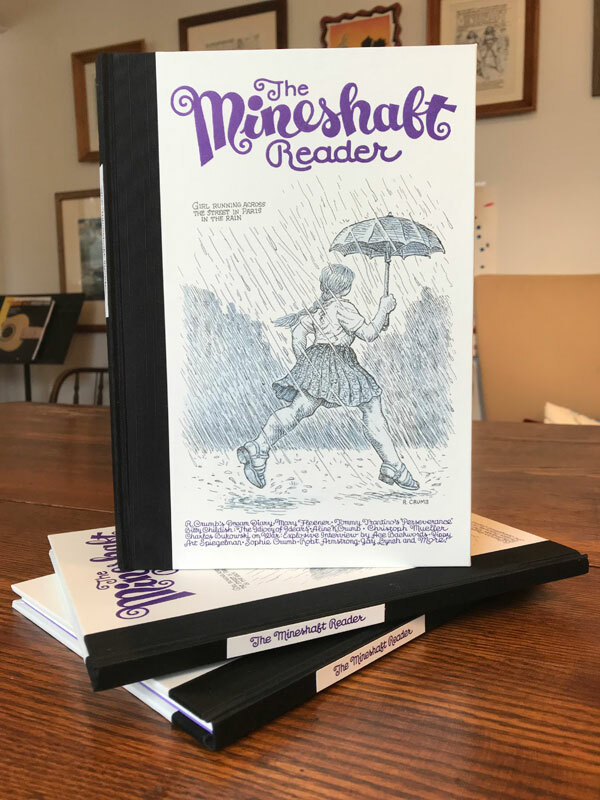 The MINESHAFT READER is Here!!! ORDER TODAY!!! Each copy of The Mineshaft Reader has been numbered by Christoph Mueller! Billy Childish feature in The Mineshaft Reader & Back Cover by R. Crumb! 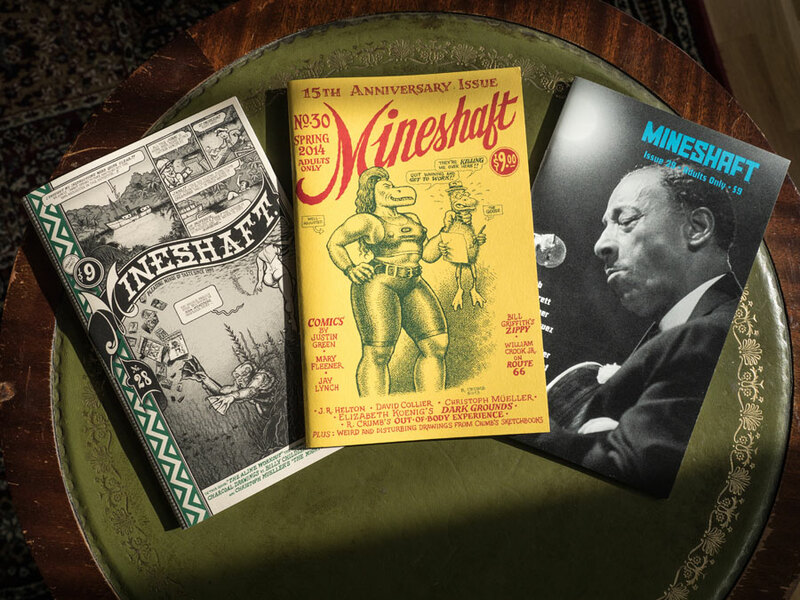 Order Now the FOUR Issue R. CRUMB ANNIVERSARY MINESHAFT SET!!! MINESHAFT #16, #30, #31, and #36!!! Order Now the MINESHAFT FOUR Issue SAMPLER SET!!! MINESHAFT #32, #33, #34, and #35!!! 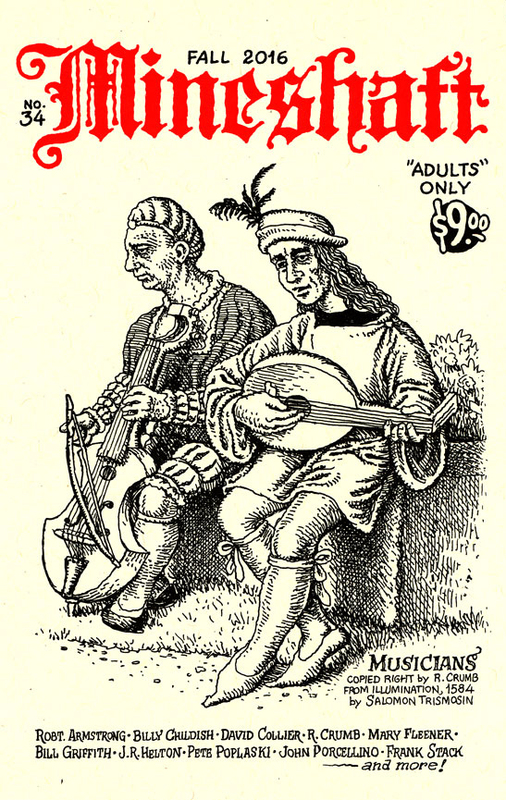 Mineshaft #34 Front Cover by R. Crumb! Mineshaft #34 Back Cover by Robert Armstrong! MANY MINESHAFT BACK ISSUES ARE STILL AVAILABLE * Uncirculated copies in beautiful condition * RARE FROM THE ARCHIVE!!! ORDER TODAY!!! Mineshaft #33 Front Cover by Mary Fleener! 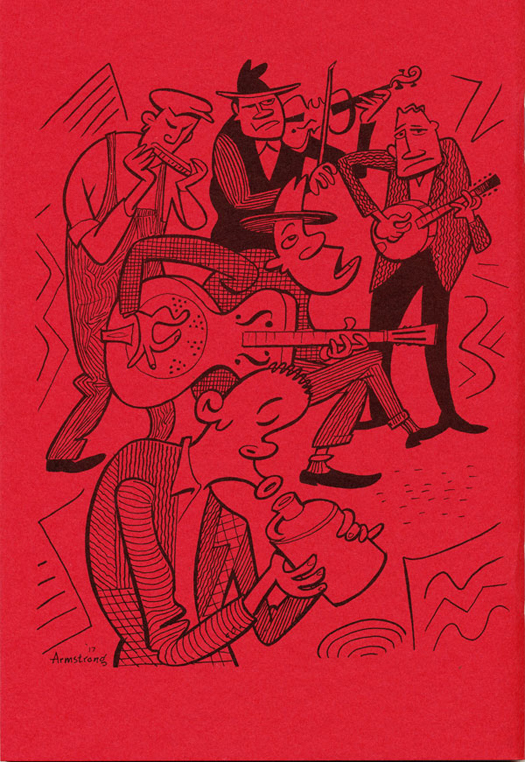 Mineshaft #33 Back Cover by R. Crumb! 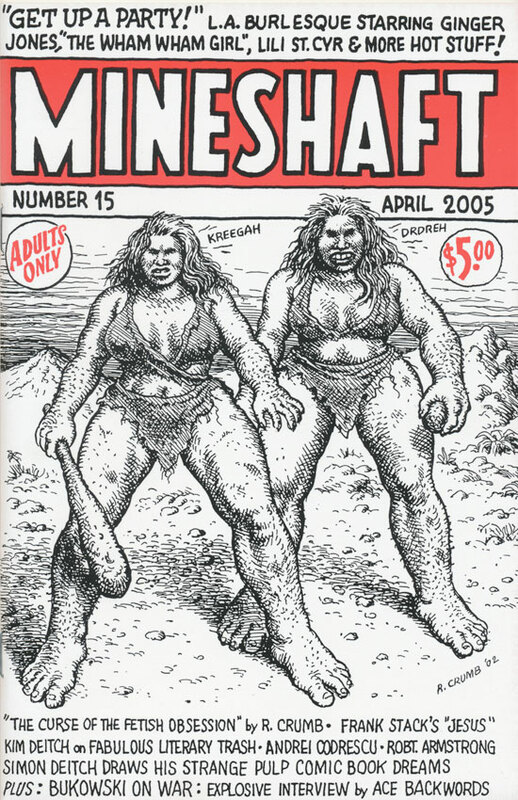 R. Crumb Front Cover to Mineshaft #30! 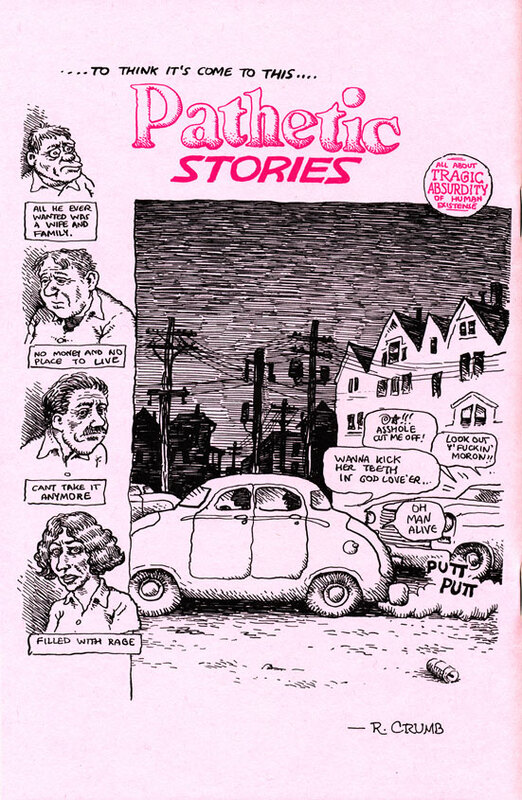 R. Crumb Back Cover to Mineshaft #30! 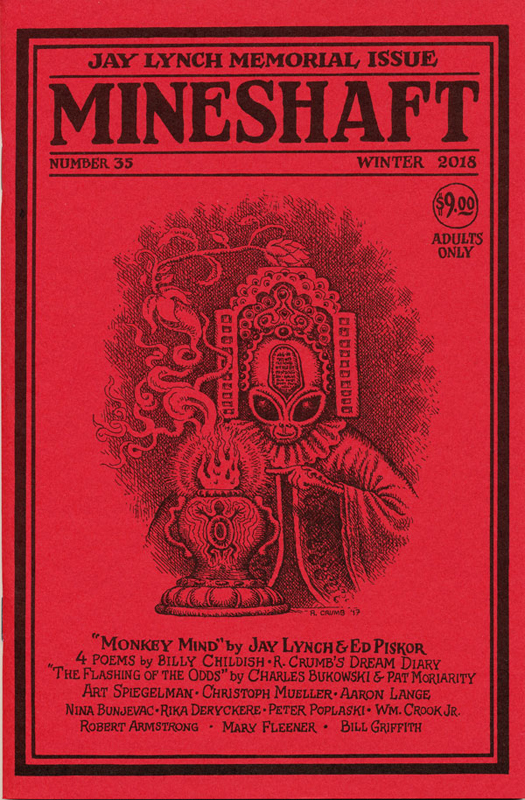 Mineshaft #31 Front Cover by Jay Lynch! Mineshaft #31 Back Cover by R. Crumb! 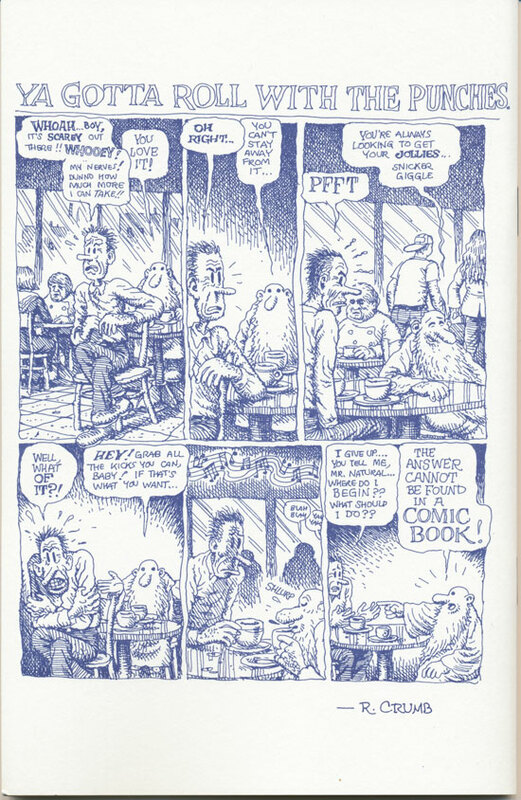 R. Crumb and Robert Armstrong "Banana Split" Centerfold Cavalcade in Mineshaft #32! Front Cover by Christoph Mueller! 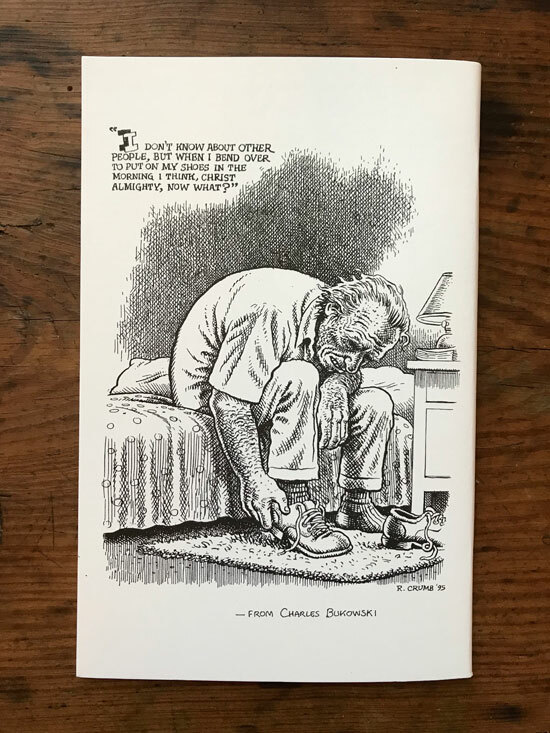 R. Crumb Back Cover to Mineshaft #32! 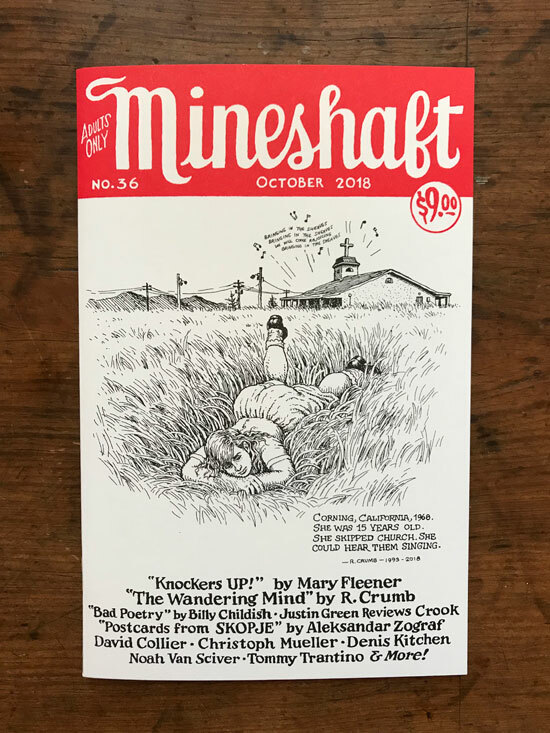 Mineshaft #14 Front Cover by Phoebe Gloeckner! Mineshaft #15 front cover by R. Crumb! 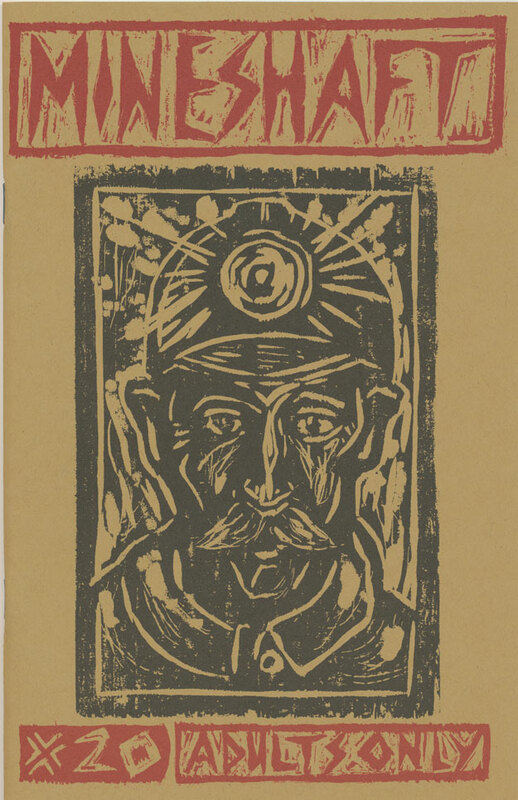 Mineshaft #20 Front Cover by Billy Childish! Mineshaft #23 front cover by Jay Lynch! 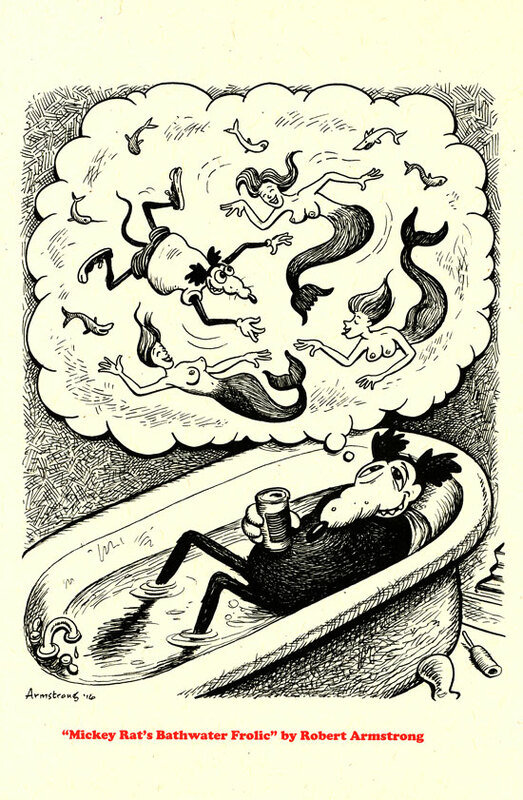 One of R. Crumb's many dream logos drawn especially for Mineshaft!